UK coffee chain Caffé Nero has been attacked by MPs for tax avoidance after the company boycotted milk produced in areas of the UK where badger culls are taking place. A Conservative MP said the company was selfish, cared only about its profits and did not “give a stuff” about badgers. 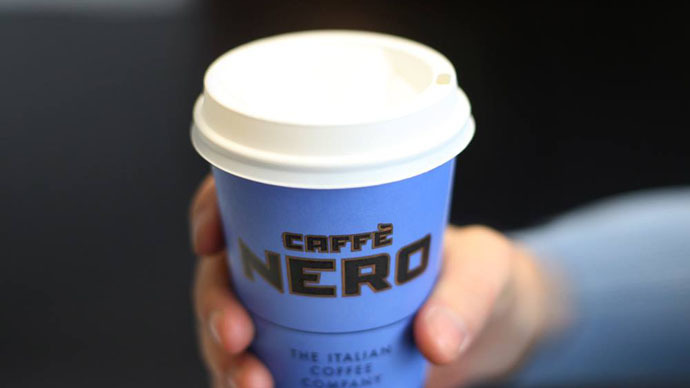 Caffé Nero has not paid corporation tax in the UK since 2008, despite racking up sales worth £1.2 billion. The company stopped sourcing milk from Gloucestershire and Somerset where a trial badger cull is taking place after coming under pressure from animal rights activists. Campaign group Stop the Cull successfully lobbied the coffee chain on Facebook to stop buying milk from farms in the badger cull zone. Proponents of the cull say it is needed to stop the spread of tuberculosis from badgers to cattle. Activists, including Queen guitarist Brian May, argue that killing badgers is unnecessary given the small impact it has on the spread of the disease. Furious MPs jumped on the company’s shady tax record to shame the coffee chain. Jacob Rees-Mogg, Conservative MP for North East Somerset, called Caffé Nero “spineless” for giving into animal rights lobbyists. As controversy surrounding the coffee chain’s milk boycott has put the spotlight on its tax affairs, RT looks at Caffé Nero and other famous brands in the UK that have come under scrutiny for avoiding tax. Despite making around £20 million a year in profits, the company pays no corporation tax in the UK, according to chartered accountant Richard Murphy of Tax Research UK. Murphy analyzed Caffé Nero’s tax structure last year to uncover how the company managed to avoid paying the 21 percent tax rate for firms earning profits of £1.5 million or more – soon to be reduced to 20 percent under the new Tory government. “The structure used is, no doubt, entirely legal and has met with tax authority approval. But that does not mean it is ethical,” Murphy said. Global coffee giant Starbucks has not paid corporation tax since it opened its first store in Britain in 1998. The company has achieved this by reporting financial losses that it claims were due to the costly expense of running high street outlets in the UK. However MPs have attacked the company for using elaborate measures to bring down its reported profits. These measures include registering the rights to its brand and logo to a holding company based in the Netherlands. Coffee beans used by Starbucks UK are purchased by an outfit based in Switzerland, where tax is lower than Britain. Campaign group UK Uncut accused Vodafone last year of avoiding £6 billion in tax, a claim the mobile phone operator denied. The anti-austerity activists hijacked the Twitter hashtag #VodafoneAGM last July to raise awareness about the alleged tax avoidance. The investigative accountant has called on the UK parliament’s Public Accounts Committee to investigate the mobile phone operator. Vodafone CFO Nick Read told Mobile News last month that the company doesn’t make enough money to pay tax, despite posting profits of £41 million in March.